We are sure you have looked at many episodes of Fear Factor. You sit amazed as people crunch on bugs or immerse themselves into a tank of pests. Just the thought of eating the crawly critters gives you the heebie-jeebies right. 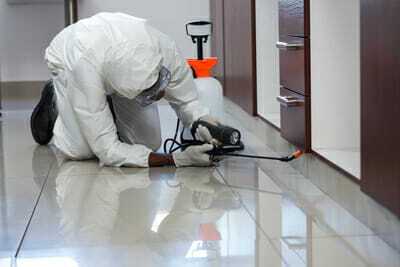 The first thing you think is to call the bug control in Las Vegas to remove the creepy-crawly from your living space. No matter what TV wants to make you believe, a fact is that eating bugs for many people is not a crawl-out-of-your-skin experience. For many Asian locals eating bugs is a cheap and sustainable source of nutrients and protein. Are you considering dipping your fingers into the entomological cuisine or just curious? Ranger Pest Control wants to give you a few approaches to realistically cook bugs and serve them up at your next party. Before handling any living bug, the best is to freeze them as it makes the process easier. Depending on your approach, you can freeze dead bugs as your first step. Imagine dipping your raw cricket in yogurt and eating them frozen as popsicles. However, we do not plan using this direction so read on and become creative. What makes pan-frying so well is that you can throw anything in the pan. Use your go-to stovetop recipes for preparing chicken and vegetables and try them with beetles or mealworms instead. You may find the bug versions tastier than the original. The best is to sauté the cricket with olive oil, garlic, and salt. By frying them to a crispy golden color in the oil, you gradually add the crushed garlic and salt. You can use it as a topping for tacos, salsa, and guacamole. One can never go wrong with an oven roast. Here you can use beetles or crickets and close your eyes for a tasty treat. Imagine enjoying a salty snack that does not taste different to any other delicacy. If you do plan roasting mealworm, the best is to use the outdoor grill. The smell may not be appealing for all in the home. Moreover, if you are a newcomer to the bug cuisine world, you want them to be as appetizing as possible. According to many mealworm lovers, it has a nutty taste and something to consider. Place crickets in an oiled baking sheet by spacing them apart. Put in the oven at 225° for 20-minutes or until golden brown and crispy. Make sure to shake the pan every five minutes or turn them with a spatula. You can also mix them with garlic and spices before roasting them. Once done you can mix them with any party treat scattered on salads or used as crowning on cake or cocktails. According to many insect lovers, cricket tastes like almonds and shrimps combined. However, if the flavor does not sound enticing, you can always throw them in the food processor and use it as a wheat-based counterpart such as cricket flour. Alternatively, you can sprinkle the powder on ice cream, salads, or stir them into a pesto or smoothie. The best thing is to be creative when preparing insects to eat. If you want to conceal them, you can always place it in a casserole or hamburger. Alternatively, you can make candy from them or braze them on a skewer. Now if beetles and crickets are not your forte, you can catch a moth and remove the wings. But if you feel the creepy crawlies is a bit too much to work into your diet, you can always give us a call and well take care of the bug removal them from your garden and home.